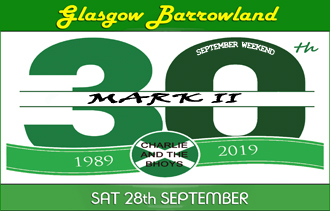 CATB WERE INDUCTED IN TO THE BARROWLANDS HALL OF FAME AS THE MOST SUCCESSFUL BAND IN THE VENUES HISTORY IN APRIL 2017. SOLD THE VENUE OUT MORE TIMES THAN ANY OTHER BAND. THE LAST 6 CONCERTS HAVE SOLD OUT WITH WEEKS TO SPARE. DON'T HANG ABOUT, ESPECIALLY FOR THIS ONE!